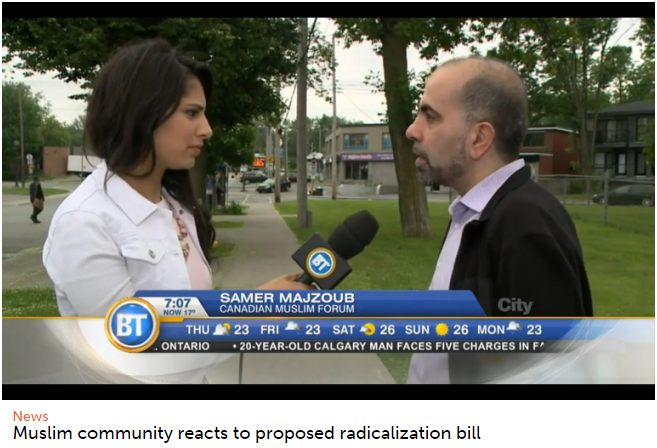 (FMC-CMF) Canadian Muslim Forum commenting this morning on proposed bills 59 and 62! Samer Majzoub of the Canadian Muslim Forum talks to reporter Aalia Adam about how the Liberals’ proposed bills could lead to a rise in Islamophobia. 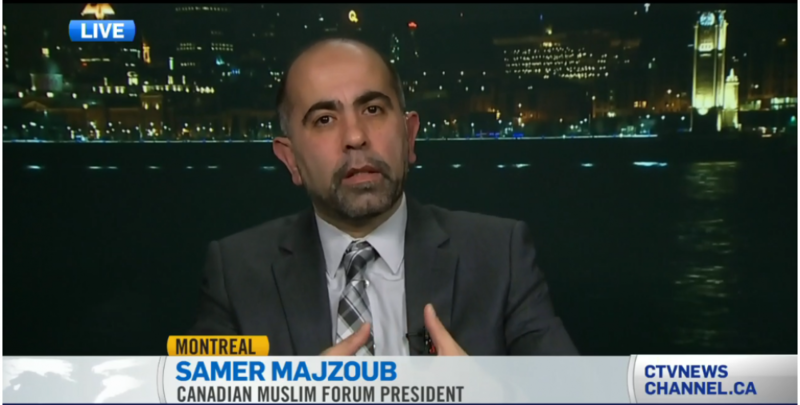 This entry was posted in interview and tagged (FMC-CMF), Canada Muslims, Canadian Muslim Forum, Forum Musulman Canadien, hate speech, Islam, Islamphobia, neutrality Quebec bill, Quebec Muslims, Radicalims, Samer Majzoub by samermajzoub. Bookmark the permalink. I am from Vancouver,Canada and I wanted to say that Bills 59 and 62 are islamophobic and reactionary.These laws should be condemned by all people in Quebec and the rest of Canada.The Quebec Values Law was condemned about a year ago and these new laws are similar to that law and should be condemned.These laws are racist and islamophobic and they got no place in todays world. The Canadian gov’t is making Canada more racist and islamophobic than it already is by trying to ban criticism of the Israeli gov’t and been islamophobic against all muslim people here..